Political fighting in California over the issue of online gaming has veered from the moral path to the road to profits. Faced with looming federal legislation legalizing and regulating online gambling games such as poker, state lawmakers and a bevy of gaming interests are scrambling to come up with a plan to assure California gets its share of an anticipated future of huge revenues. And hoping to cover the margin, the California Online Poker Association (COPA) announced it is launching free sites, hoping to lure the estimated 2 million Californians who already play poker online — on out-of-state sites. The first online is a site with the dubious name of CalShark.com. Players participate for free, but cannot gamble real money. The association, comprised of poker room owners and several Indian casino operators, plan to use the free sites for “branding” and creating an identifiable data base of future customers. Legislation to allow, tax, and control online sites developed by California businesses stalled this year, but proponents say they’ll be back next session with a new effort. This is a no brainer. 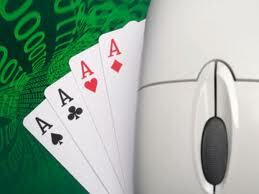 Currently, CA sites offer free lessons on poker and other on line casino style gaming. From there, they direct people to an out of state REAL GAMBLING website. Californians are gambling on line in every county and city in this state. Security is dubious on some of these sites and it would be in the States best interest ( gaming tax revenue) and the Citizens best interest to legalize it, tax it and regulate it particularly where oversight for security is concerned. Recently, it was noted (don’t recall which state) that a couple of online players seemed to average an unusual high rate of poker winnings as compared to the hands they played. Eventually a gaming commissioner noted that the odds of their percentage of winnings was (quote) “astronomical”. It was discovered that they actually knew the fellow who had programmed and sold the software. He had created a back door where he could see every on line players hand! He sold the backdoor secret to his trusted friends. Funny thing is that early last year, I had a business associate who had been very depressed and told me that she had literally burned her computer. She said her computer was destroying her life and she would only use a computer at a business office from now on. I didn’t know what to make of it until I found out that she had lost 80K over a period of 11 hours playing on line poker. I wonder what site she was playing on? Yes, because the government is awesome in computer security! Finally. I hope this passes. I loved Pokerstars and found playing relaxing. I’m happy to contribute my rake to our tax base.